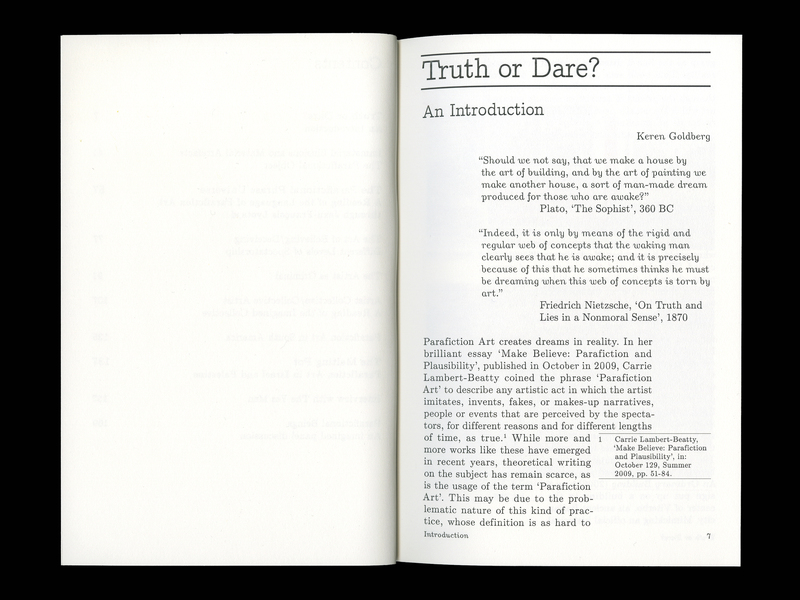 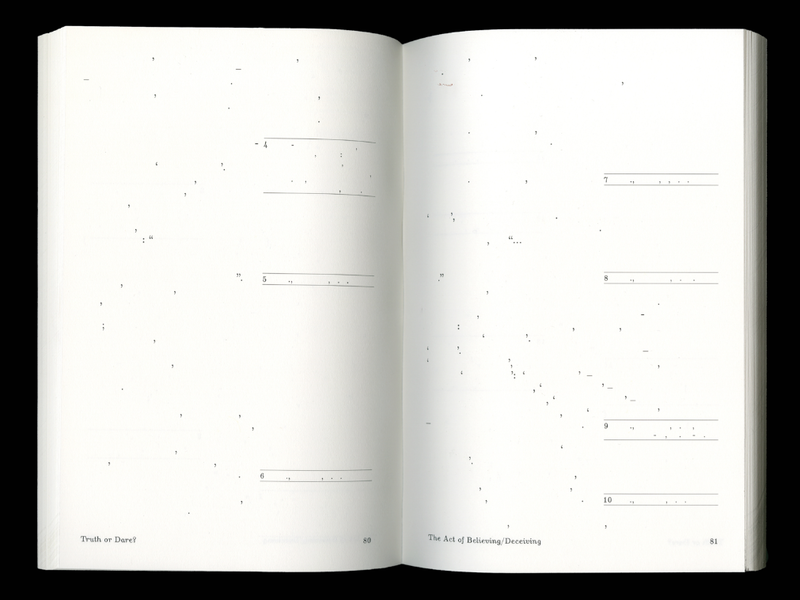 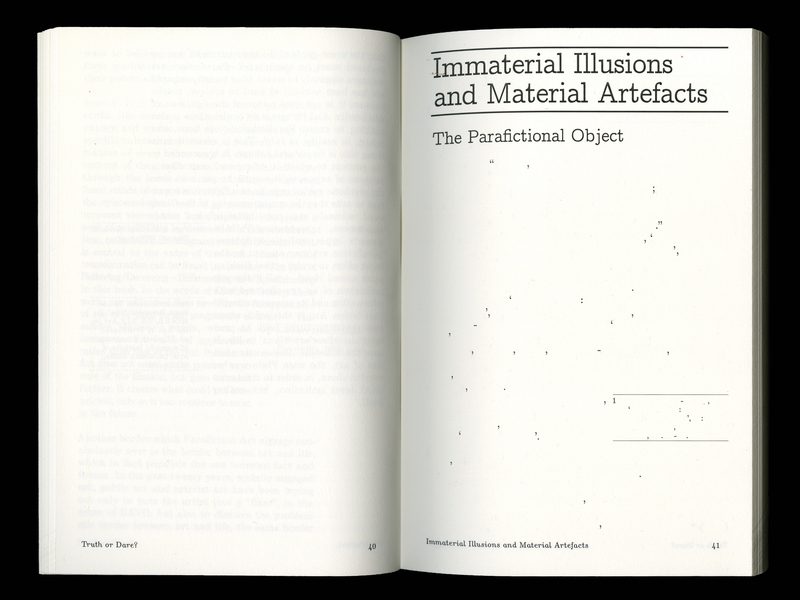 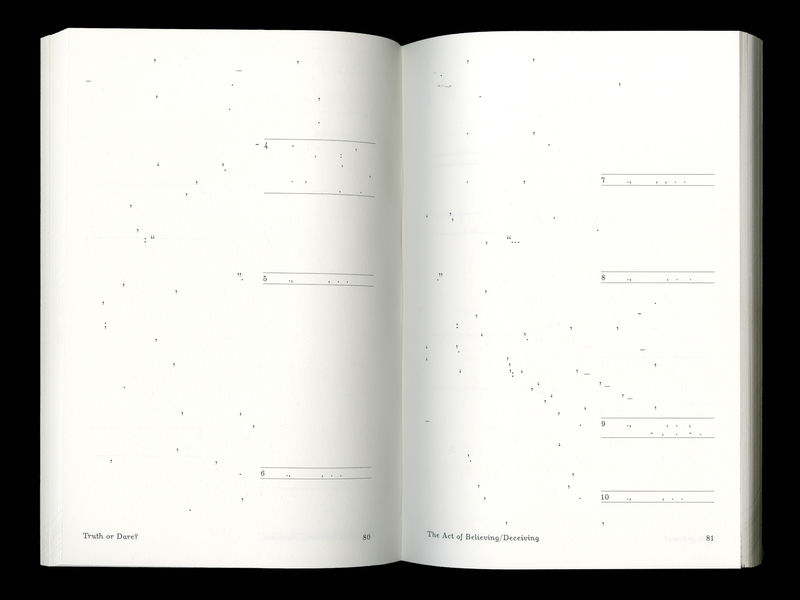 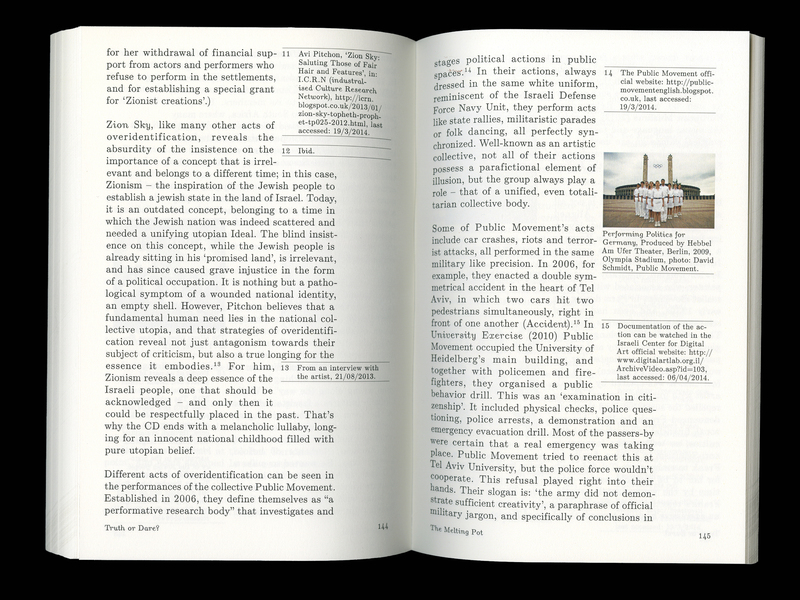 This book was written by Keren Goldberg for the Critical Writing in Art and Design course at the Royal College of Art. 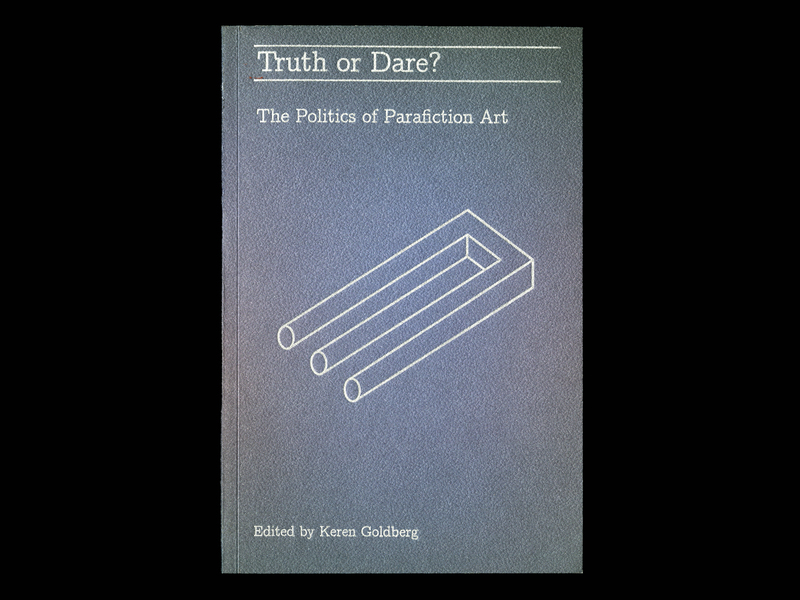 It’s a collection of essay on the politics of parafiction art. 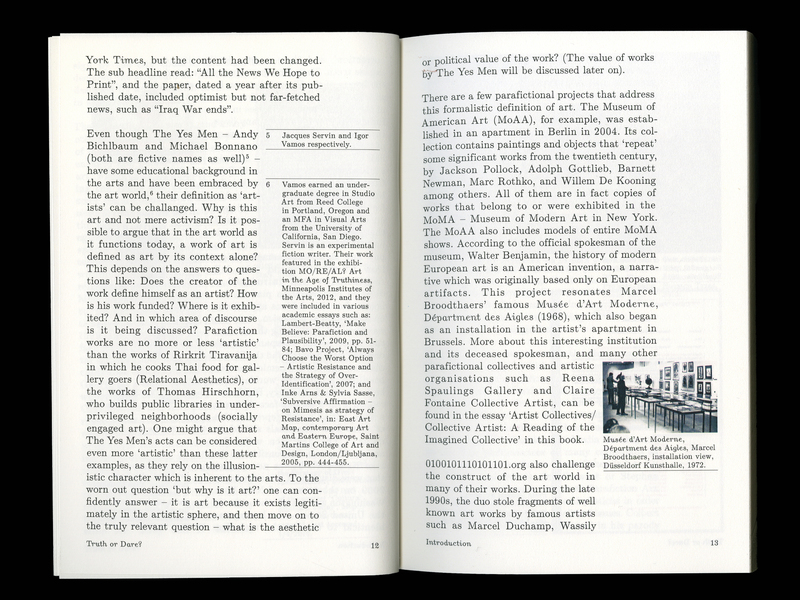 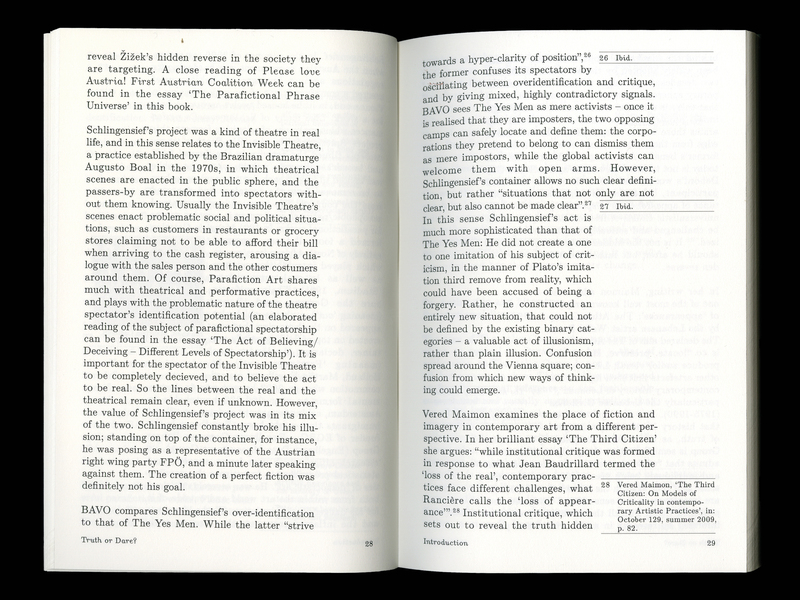 The book being a long-term project, not all essays were finished for the final show—so the design plays on its prototype-like status.